Every year, the industry comes together to share knowledge and ideas. We meet in a convention center to check out the latest and greatest in equipment, software and services to enhance the way we do business, the way we pave the nation’s roadways. It’s time again to prepare for the World of Asphalt Show & Conference and AGG1 Aggregates Academy and Expo. The combined conventions for 2019 descend upon Indianapolis at the Indiana Convention Center this Feb. 12-14. As you know, the show owners (National Asphalt Pavement Association, Association of Equipment Manufacturers, and National Stone Sand and Gravel Association) put all the details online at www.worldofasphalt.com and www.nssga.org/major-event/agg1/. Check those out. On the WOA site, map your show plan under the “Register” tab, and don’t forget to add Booth 10126 to your travels so you can visit with your AsphaltPro staff. Make a list of the education sessions you want to attend by visiting the “Education” tab. You’ll see these options and lists in a menu down the left-hand side of the “Visit” page. In the meantime, consider this preview a cheat sheet to make your planning easier. Would you like some tips and highlights of the vendors who are working overtime to make your show experience awesome? AsphaltPro invited exhibitors to share specific information with you. The following listing of vendors who responded to our call for information includes an abbreviated company name, the booth number where you can find them on the tradeshow floor, and a detail the vendor felt the asphalt and aggregate audience would deem most important to know about their offerings at WOA/AGG1 this year. Tuesday – 11 a.m.-5 p.m.
Wednesday – 11 a.m.-5 p.m.
Thursday – 9 a.m.-1 p.m.
Indiana Convention Center at 100 S. Capitol Ave.
Get your badge at an onsite registration counter. Components from the EX Series from ADM will be on display in booth 25127. Asphalt Drum Mixers Inc., will have its EX Series, Model EX 8844 on display in booth 25127. AMMANN Group will be exhibiting in booth 20149 with information on asphalt production and compaction. Road Science®, division of ArrMaz, will be exhibiting in booth 20147. 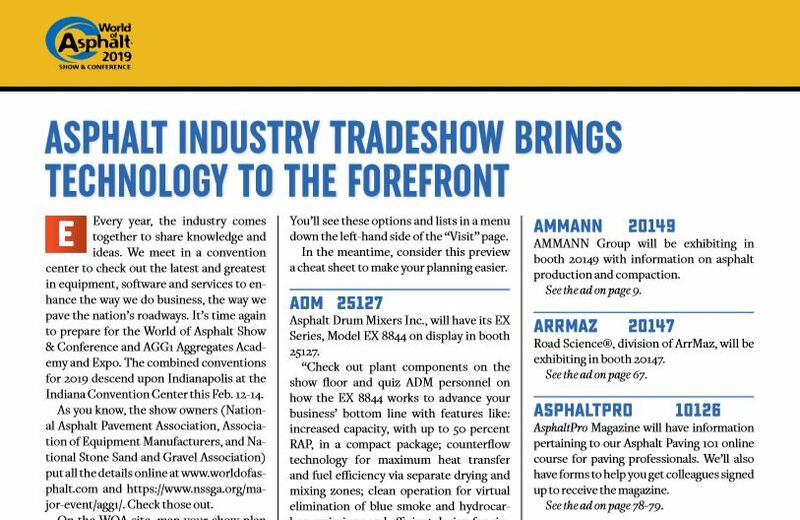 Stop by booth 10126 to meet your AsphaltPro magazine staff and to learn about our online training course for your paving crew. AsphaltPro Magazine will have information pertaining to our Asphalt Paving 101 online course for paving professionals. We’ll also have forms to help you get colleagues signed up to receive the magazine. Astec Inc. announces its Silobot Silo inspection service is now available. ASTEC Silobot™ inspection service uses an innovative wireless, remotely controlled robot that analyzes, evaluates and inspects asphalt silos for imperfections. 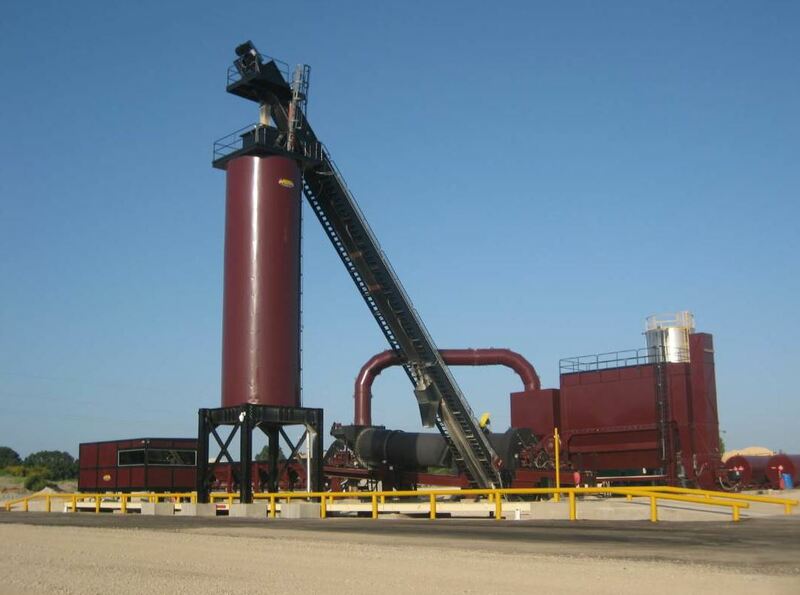 Additional asphalt mix production equipment will be on display in booth 21113. The company will also have giveaways of a custom, one-of-a-kind, 1/12-scale Indy car model and 4 Indy 500 tickets, plus four VIP passes to the Legends Day concert. BOMAG Americas Inc. will have the new BF300C-2 asphalt paver on display in booth 17115. 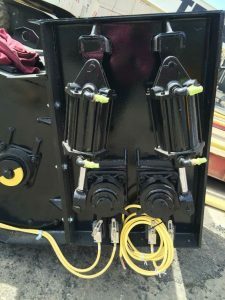 BOMAG will unveil its newest commercial asphalt paver, the BF 300, which features MAGMALIFE screed technology, which cast heating elements inside a protected aluminum block for faster heat-up times and more uniform heat distribution. Visit the booth to learn about ECOMODE, the quick coupling system for fast screed extension and BOMAG’s side view. Cargill will be available to discuss rejuvenators and high RAP mixes, including the initial results of testing with NCAT and MnROAD. The Caterpillar booth at stand 26107 is combined with the Weiler booth at 28107 so there’s plenty of milling, paving and compaction equipment to be seen here. 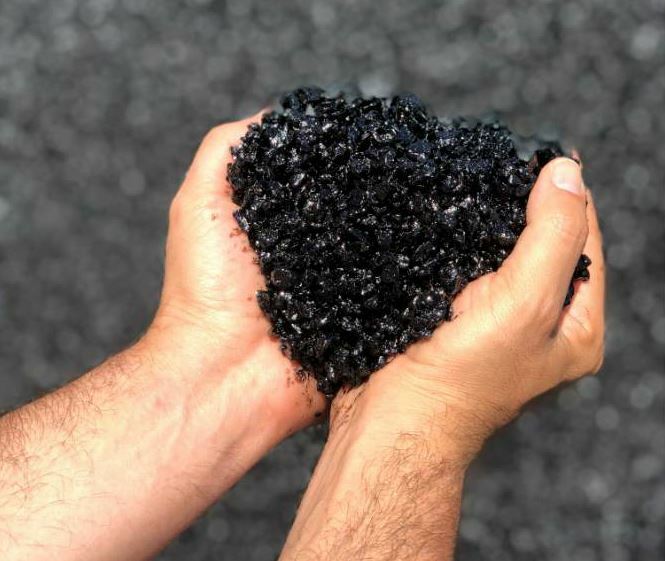 Chemtek Inc. will have its NeSilex silica dust suppressant and PavePro biodegradable asphalt solvent on display at the booth, with product demonstrations during all open exhibit hours. The company will also be part of the Rock the Road presentations during the show and will be presenting on Effective Silica Dust Control Tuesday, Feb. 12, at 1:30 p.m.
CWMF will be exhibiting in booth 15111. Stop by to talk about your plant component needs. See the new Stealth™-500 from Eagle Crusher during its launch at WOA/AGG1 in booth 27089. Eagle Crusher Company Inc. will have its new Stealth™-500 on display at booth 27089. 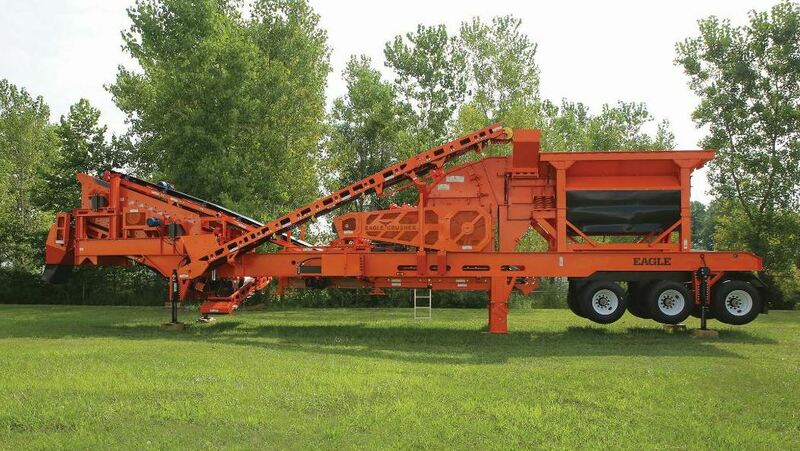 The plant is specifically configured to help cost-conscious businesses enter the asphalt, aggregate, and sand and gravel industries, or economically add to their fleets for a low initial investment price. E.D. Etnyre will be exhibiting in booth 21096. Stop by to see a number of distributors and trailers. Stop by booth 20143 to visit with Ernie Kaplan about your distance measuring needs. 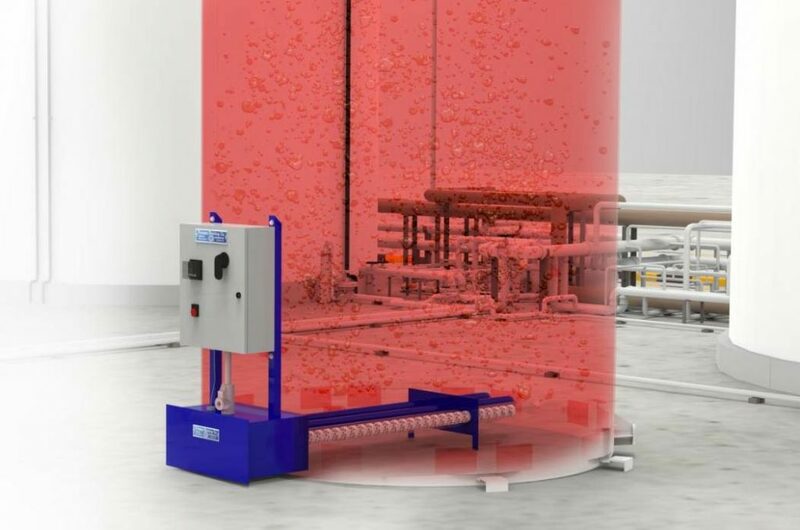 FORTA Corporation will have its new FORTA® Voyager on display to automate the fiber feeding process with a wireless remote. The company will have other products on display in booth 13100 as well. Stop by booth 34127 to learn more about Gencor’s Portable Ultraplant® and more. 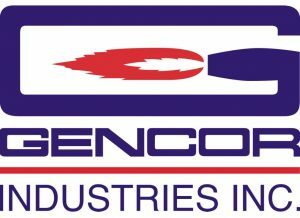 Gencor Industries Inc. will have burner, hot oil heater and plant controls on display at booth 34127. GreenPatch will have its cold asphalt repair product available for discussion at booth 19137. GreenPatch® will have a revolutionary cold asphalt repair product on display as well as videos of how to produce GreenPatch through a HMA plant or portable pugmill. Stop by booth 21106 to see the new Heatec Control System. Heatec Inc. will be display its new Heatec Control Systems at booth 21106. 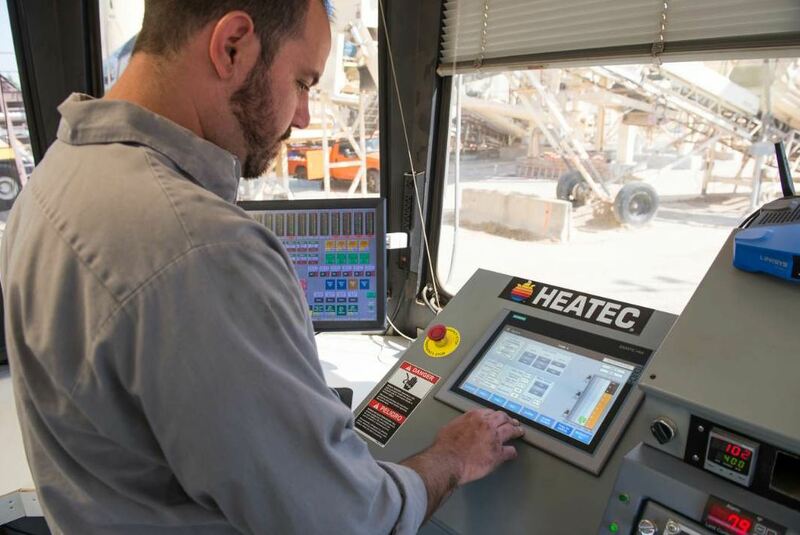 Heatec controls for emulsion blending, polymer blending, and asphalt terminals combine user-friendly interfaces with sophisticated software to give plant personnel precise control over their processes, according to the manufacturer. Recipes can be programmed to be semi or fully automated. Ingevity will be exhibiting in booth 17116. Kenco Engineering will be exhibiting in booth 31100. Stop by to discuss your wear parts and components needs. KM International will display the KM 8000T asphalt hotbox and the KM T-2 asphalt recycler in booth 16141. 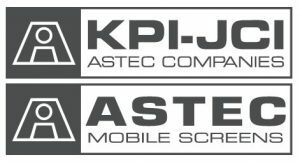 KPI-JCI and Astec Mobile Screens will exhibit in booth 29127. Kolberg-Pioneer will introduce a water clarification system designed to eliminate the need for settling ponds by recovering 95 percent of the water that flows to the system. Johnson Crushers International will introduce the K350+ cone crusher model with increased drive train, stroke, horsepower, weight, head diameter, hold-down force. KPI-JCI and Astec Mobile Screens will have unique giveaways for all visitors. 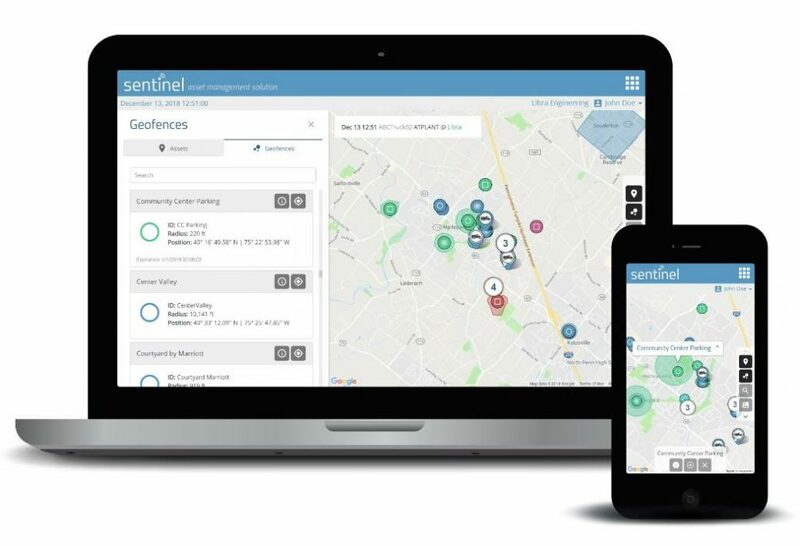 Stop by booth 31127 to see the new Sentinel asset management solution from Libra. Libra will have products on display in the booth, and will have a number of giveaways for attendees. Stop by booth 19107 to see Meeker’s asphalt batcher and transfer conveyor technology. Pegasus will be exhibiting in booth 12106. Stop by to talk about the all aluminum live bottom trailers. Pine Test Equipment will be exhibiting in booth 29096. Stop by to see the testing equipment to complete your asphalt QC/QA lab. See Lo-Density® heat from PHCo in booth 20127. Process Heating Company Inc., will be exhibiting in booth 20127. Stop by booth 13127 to see the Burke hot oil heater from Reliable Asphalt Products. Reliable Asphalt Products Inc., will have a number of products on display in its booth, including a hot oil heater, asphalt calibration tank, asphalt pump metering skid and the Minds control system. Personnel will offer in-depth Minds control demonstrations throughout the day and offer multiple give-away items. Check out the upgraded RX-700e from Roadtec at booth 23089. Roadtec Inc. will have its new RX-700e heavy duty half-lane planer on display at booth 23089. The upgraded RX-700e cold planer features an 800-horsepower Caterpillar® engine and an updated body style. It’s available in three-track and four-track versions; the four-track version will be on display. 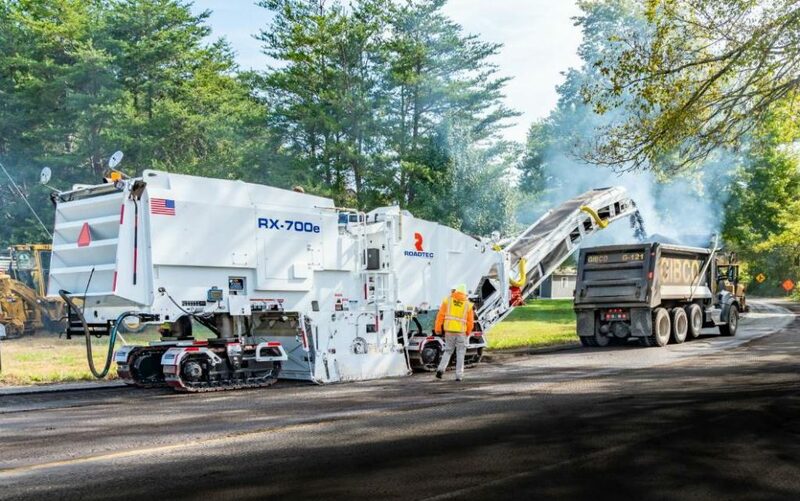 Roadtec will also showcase the RP-170e asphalt paver, the RP-195e asphalt paver, the SB-2500e Shuttle Buggy® material transfer vehicle, and the SX-8e soil stabilizer/reclaimer. Rubble Master will have its new HS3500M scalping screen on display at booth 15089. 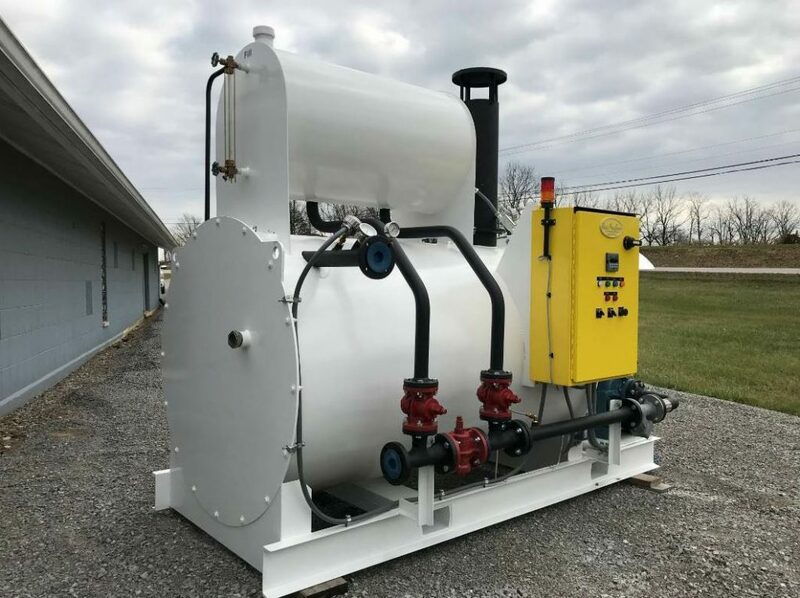 This compact 4 x 9-foot high performance screen is designed to process a variety of waste products including asphalt slabs and millings, gravel, and more. Customers can choose from a variety of screen sizes to get up to three finished end products. Stop by booth 17133 at the top of the hour for a training talk with a Stansteel/Hotmix Parts & Service expert. 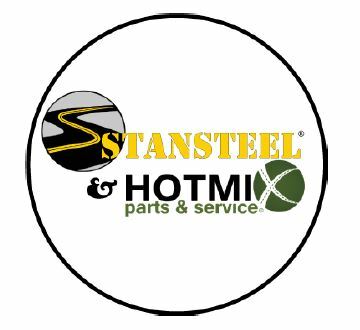 Stansteel/Hotmix Parts & Service will have its new Tank Tracker on display in booth 17133. The tool is designed to monitor your operation while keeping costs low and team members safe. The manufacturer lists the following benefits of the Tank Tracker: load the right AC in the right tank; stop overflow of tanks; know your tank or silo level within a few gallons or 1 percent; help manage your inbound tankers and outbound trucks to know inventory at all times; remove one more difficult/hazardous task; management and supervisors can monitor the level from any smart phone. Gregg Gilpin and Sherman Owen will give training talks at the booth every hour on the hour throughout the show. Stop by the booth to win one class tuition to any of the Hotmix University classes in 2020. Tarmac International will be exhibiting in booth 19099. Stop by to discuss your plant and component needs. TransTech will be exhibiting in booth 26127. Stop by to see the line of non-nuclear density gauges for your QC/QA program. The Wirtgen W 150 CF/ W 150 CFi compact milling machine with the new 1,800 mm milling drum assembly will be on display at booth 33077. 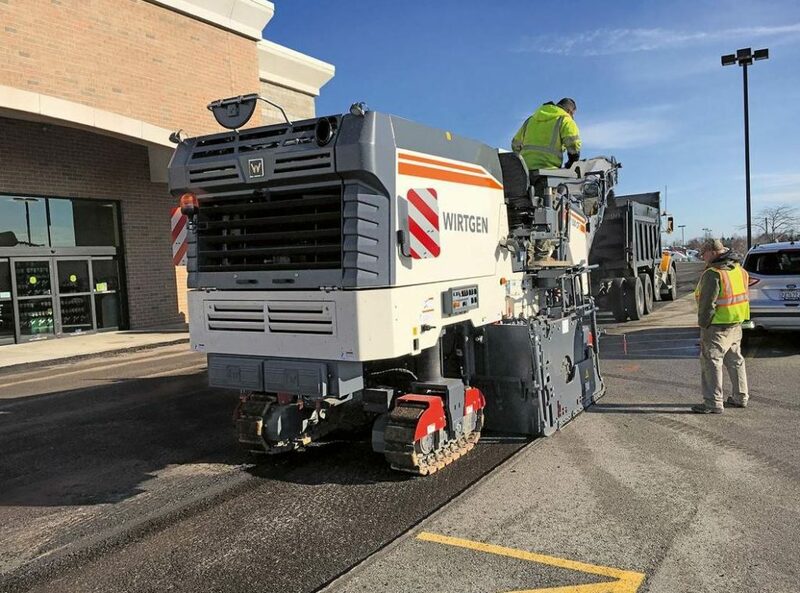 Wirtgen Group will have the Wirtgen W 150 CFi with new 1,800 mm (6-foot) milling drum assembly on display in booth 33077 among other pieces of equipment from the company.